A concussion is a type of brain injury that sometimes occurs during many high school sports, including baseball, basketball, football, gymnastics, hockey, lacrosse, soccer, softball, volleyball, and wrestling. It is important to keep in mind that a concussion can happen in almost any sport in which a collision can happen, so even a tennis player can get a concussion if he trips, falls, and hits his head on the tennis court. Although student-athletes often feel pressure to play through the pain, it is important to remember that a concussion is a brain injury and that all concussions are serious. Keep your teen out of play. Concussions take time to heal. Don't let your teen return to play until a health care professional says it's OK. Athletes who return to play too soon, while the brain is still healing, risk a greater chance of having a second concussion. 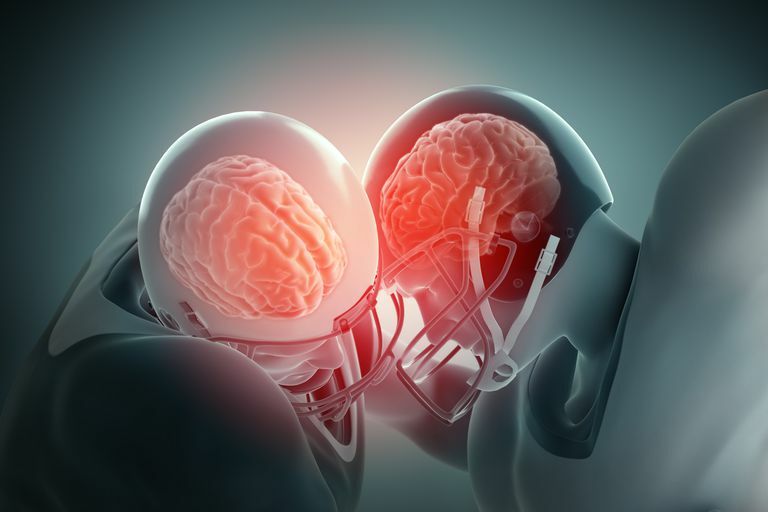 Second or later concussions can be very serious. They can cause permanent brain damage, affecting your teen for a lifetime. Tell all of your teen's coaches about any recent concussion. Coaches should know if your teen had a recent concussion in ANY sport. Your teen's coaches may not know about a concussion your teen received in another sport or activity unless you tell them. Knowing about the concussion will allow the coach to keep your teen from activities that could result in another concussion. Remind your teen that it's better to miss one game than the whole season.